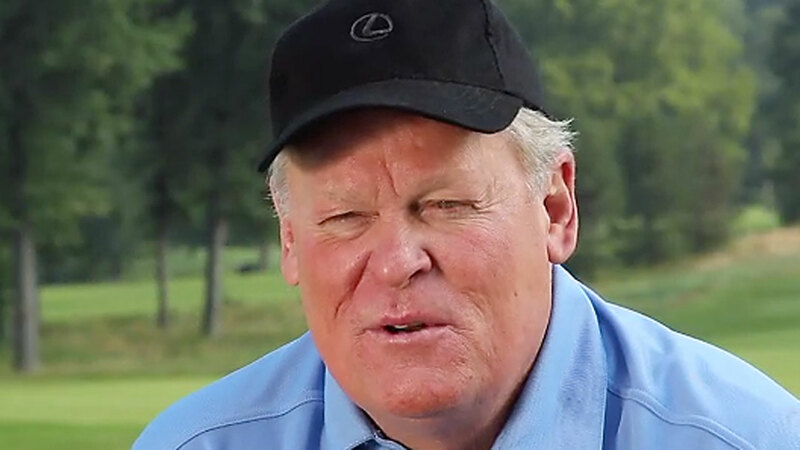 Johnny Miller's head is so big he can hardly wear a cap! Quick warning to this week’s field at the WGC-Mexico: Guys, don’t drink the water. Quick encouragement for NBC analyst Johnny Miller: Johnny, please go ahead and drink all the water you want. It was pretty bad last week, but then again, pretty much par for the course when it comes to Johnny Miller — there was Miller with that big fat head of his, banging on golf’s sweetheart — Rickie Fowler. Guess it wasn’t good enough that Rickie Fowler started last Sunday with a four shot lead and won the Honda Classic by four shots. Guess it wasn’t good enough that Rickie managed to shoot 71, just one-over par on a difficult golf course with winds blowing up to 20 miles per hour. No, wasn’t good enough for Johnny Miller, the golf know-it-all who acts like he’s won double-digit major championships when it fact he won just two. Well excuse us Johnny if we give you the Bronx cheer on that one. Typically Miller, typical Johnny Miller peeing in the punch bowl. Fact is Miller is pretty much a Donnie Downer. Seems like no one’s ever good enough, he hammered Fowler for hitting a ball in the water at the 17th hole but didn’t say much when Rickie stuck a wedge shot close and saved bogey. Turns out he didn’t lose his lead, in fact it stretched to five shots by the time he walked to the final tee box. The more we listen to Johnny Miller, the more we wonder how good Miller was or wasn’t when he was playing. Turns out that fat-head Johnny has parlayed three good years into the feeling that he’s one of the best players who ever lived. Miller won 25 times on the tour but in 1974 (8), 1975 (4) and 1976 (3), he won 15 of his 25 events. Miller went winless in 1977, 1978 and 1979. Guess he just didn’t know how to play on Sundays anymore. He won once in 1980, twice in ’81, once in 1982 and 1983. In ’84, ’85 and ’86 he went winless. Nice Johnny. He won once in 1987 but was skunked from 1988-1993. His last win, a miracle at that, came at Pebble Beach in 1994. Speaking of Pebble Beach, he won seven times in California and six times in the desert. Not a great performer outside those geographical areas. It was bad enough putting up with Miller during last week’s Honda but we’ll have to listen to his oral dribbling again this week in Mexico. Maybe Johnny can oogle at how far Dustin Johnson, Rory McIlroy and the rest will drive the golf ball. If someway Rickie finds his way into the hunt on Sunday, don’t expect Johnny to cut him any slack or anyone else for that matter. When it comes to Miller, seems like the older he gets, the better he used to be. You get the idea that this guy won the career Grand Slam or something. But he sits up there and throws out a lot of junk to see what sticks. For now, we’ll go with Rickie, who admitted it wasn’t the prettiest win, but a win is a win. Regardless of what Johnny Miller says. what is equally bad is that none of the guys working the telecast had the nerve to contradict Johnny–jake, gary, hicks notay etc none of them stepped up–it was windy–he hit a few errant shots–which was not entirely out of character for rickie anyway–compound that with a health lead and I would praise him for doing exactly what was needed to come in with the least number of strokes for 72 holes–which is the object of the game! the short game and putting by the way johnny is about 1/2 of the whole and he was superior at that all week long. 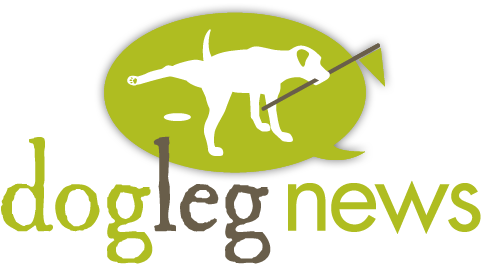 God forbid rory stumbles this week–look out below! I suppose you did not consider that the reason none of the other commentators contradicted him might be because they agreed with him? Woodland had the best chance; had he not stumbled it would have been very interesting to see how Rickie responded to the challenge. All I know is that Rickie Fowler is a multiple winner, he is still getting better thanks to his work with Butch Harmon and wouldn’t surprise me to see Rickie get in the mix at a couple of majors this year. And speaking of a couple of majors, that’s all Johnny won, not even as many as Larry Nelson. It’s too bad that T.V. ratings can’t tell if your sound is on. Enjoy watching golf, but mute it when Johnny is an announcer. He’s so full of himself and if anyone wins, it always reminds him of Tiger. Must be on Tigers payroll. Johnny is waaaaaay full of himself…….a certain NBC guy I know personally confirmed that! I cannot stand Johnny Miller as a commentator.He is so self self serving. Pompous, and so full of himself. I mute the sound when he is on. I do not want to hear how he would have played a shot or the course. He has been a has been for decades now and never lived up to the hype when he did play. Shut up already and call the shots hit as they were hit and not how you would have hit the shot. Yes, you think it was Johnny who won 18 majors. I wonder how Johnny knows about Vaseline? Some guys used to try and rub some on the face of the club to take the spin off. and have enjoyed following his colourful and entertaining career as a colour commentator on golf. Your denigration of his style and success bemoans your own lack of fame and smacks of jealousy for a man that is not intimidated to tell it as he sees it. His success as a commentator would indicate that there are enough true golfers out there that follow his opinions, appreciate his stye and that encourage him to continue in his own fashion. Have you forgotten that TV is an Entertainment medium? More than anything I have always enjoyed Miller’s straight ahead, direct, unflinching way of presenting the game. Your personal attack on his golf record ( as a journalist you can not ignore his past success playing the game, as much as you attempt to do so ), speaks volumes to your desperation to belittle him. Totally unwarranted. Dissenting opinions from your own, need to be heard. Ask any golf fan if they have heard of Johnny Miller. Try the same with the name of Tom Edrington. Thanks for the comment, you did manage to make me laugh heartily, I see there are plenty here who agree with me and I can tell you I know one of his NBC golf colleagues who whispered to me that Johnny Miller is indeed quite full of himself. AMEN to all you’ve said…Johnny Miller for ‘forever’ has been the arrogant person he is because he is (or maybe was) one of the most talented players on the pro circuit. You will never hear or read anything negative about Miller from those who also played during his (Miller’s) era. Kind of sad to see that Edrington has such a hard time accepting Miller for who he now is because of who he was when he was a player. BTW…Edrington’s one NBC friend who ‘shares Edrington’s opinion must be a real player at NBC – NOT! – because Miller is still under a very long standing contract. From all the comments I’ve seen here and on Facebook, most pretty much agree with me about Johnny Miller. I did cover him as a player but I spent more time with Nicklaus, Watson, Palmer, you know the good guys. You’d be shocked at who my insider at NBC is. Tom it is great to see that as a golf writer you have no clue what you are talking about. I have listened to all the commentators for years and Miller provides more insight on the game than several others combined. Many times he accurately predicts what will happen before the shot is executed. Maybe you are a Gary McCord fan. Thank God there is a mute button on my TV so I can shut him up. Nobody delivers more drivel. How many times do we have to listen to him say < "he will have to put some change on that one?" IF Gary is on for two hours you are lucky if he provides one comment that is valuable to the viewer. I am going to follow you a lot more closely so I will no where to place you on my list of clueless commentators. I can almost guarantee you a Top 10 ranking. Obviously you’re a friend of Johnny Miller, can you tell us why he didn’t show up in Mexico City?